On March 8, 2016, the museum hosted an #EmptyNMWA instameet (a gathering of Instagram photographers) in honor of International Women’s Day. NWMA welcomed 30 local instagrammers to visit the museum to tour and photograph the museum’s collection before public hours. Before the tour, attendees enjoyed refreshments on the museum’s Mezzanine—featuring staff-made cookies inspired by artwork from the collection. In the museum’s Great Hall, NMWA Associate Curator Virginia Treanor drew attendees into the history of women artists through a discussion about 17th-century painter Louise Moillon. Because Moillon had limited resources and was barred from life-drawing classes, her renderings of fruit were executed with more skill than her depictions of figures. Treanor revealed stories about women artists who had successful careers—despite their barriers—but had been scrubbed from art history texts, like Impressionist painter Berthe Morisot. Many ’grammers were surprised to learn that while women make up 51% of visual artists today, only 5% of work on museum walls in the U.S. is by women. 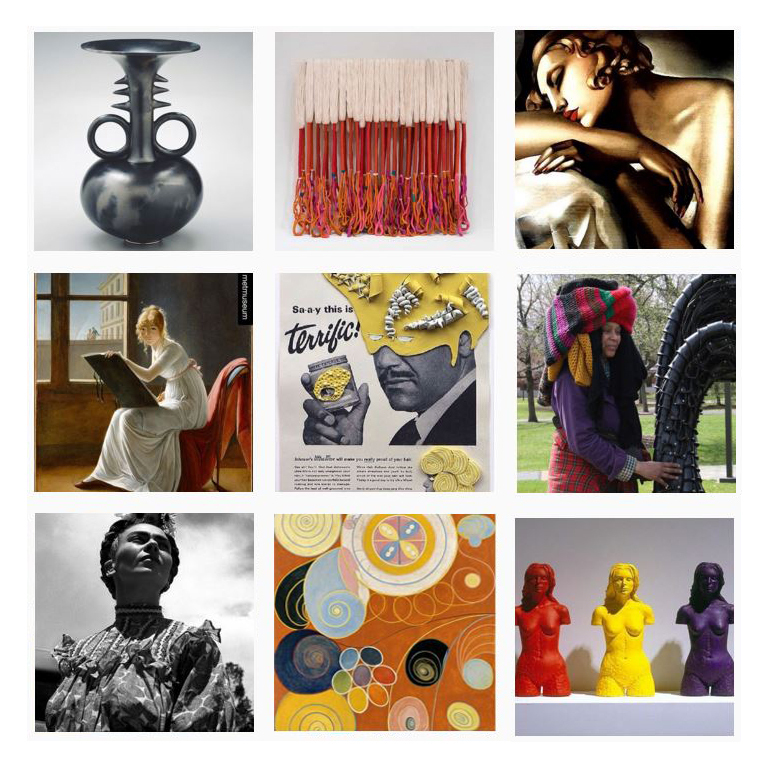 Others struggled to name five women artists, but felt confident by the time they shared the #5womenartists challenge on social media after the event. 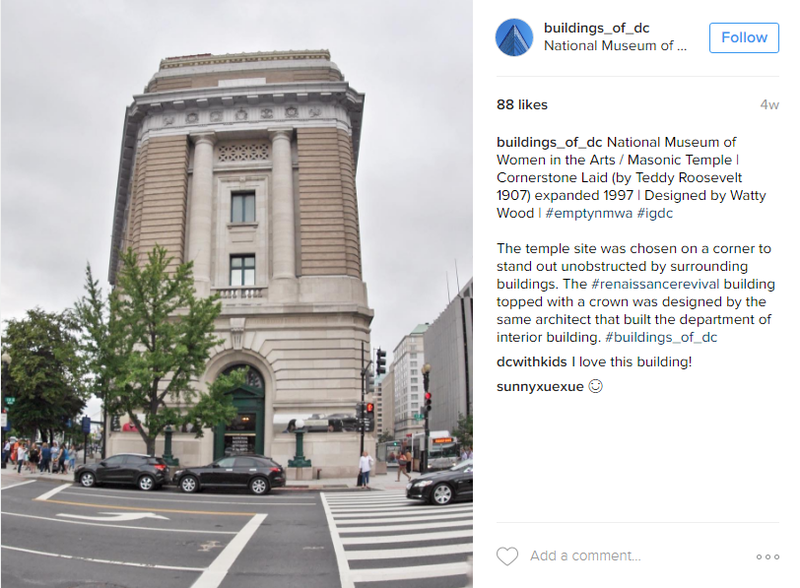 Drawing inspiration from the museum’s building and collection, @aquinsta shared the museum’s iconic Frida Kahlo self-portrait, @flipflopcaravan marveled at NMWA’s architectural history as a Masonic temple (where women were not allowed entry), and @thisisjamesj chronicled the morning on his blog. Capturing new views of collection favorites, @dccitygirl incorporated a phone as an additional lens in front of Mickalene Thomas’s A-E-I-O-U and Sometimes Y (2009), while @jww_color snapped a bird’s-eye view of Honor Freeman’s porcelain Tupperware. Browse more than 150 spectacular images posted from the #EmptyNMWA instameet on Instagram and Storify. Follow @WomenInTheArts to hear about future opportunities. 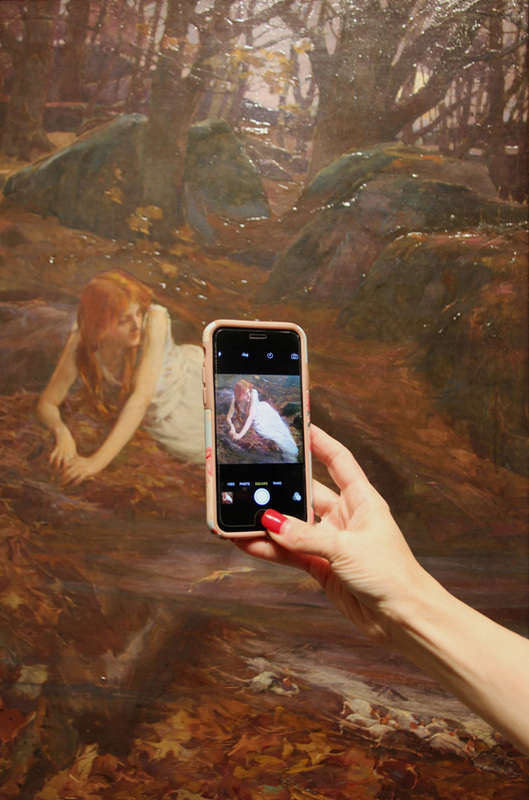 Until the next instameet, visit the museum and keep ‘gramming! In honor of International Women’s Day, NMWA will host an #EmptyNMWA instameet on Tuesday, March 8. An “instameet” is an opportunity for photographers to gather, meet, and snap pictures for Instagram. The museum will give 30 photographers a chance to explore and photograph the museum’s collection before public hours. 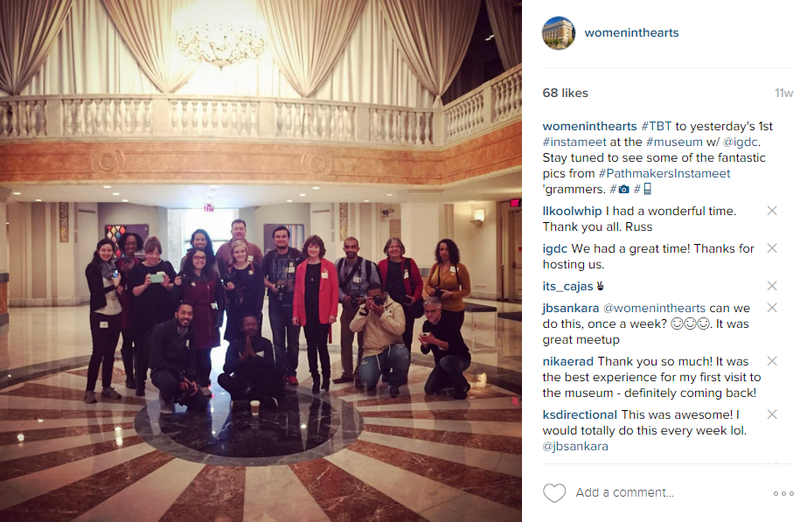 The National Museum of Women in the Arts hosted its first instameet on December 9, 2015, in collaboration with @IGDC, a community of photographers based in the D.C. metropolitan area. NWMA welcomed local instagrammers to visit the museum before it opened to the public to capture the special exhibition Pathmakers: Women in Art, Craft, and Design, Midcentury and Today. NMWA Associate Curator Virginia Treanor guided 18 photographers through the exhibition and highlighted show-stopping works by midcentury and contemporary women designers while illuminating the artists’ processes—photographers enjoyed hearing about Polly Apfelbaum, who used a punch card as a stencil for her Handweaver’s Pattern Book installation (2014). The event’s photographs captured the diversity of the dynamic women designers whose work was on view. Photographer @ksdirectional captured an amazing detail photo of Front Design’s Axor WaterDream/Axor Shower System (2014) and @saifahmed99’s installation shot of Vuokko Eskolin-Nurmesniemi’s Circle Dresses (ca. 1964) was chosen as the photo of the day by the #ACreativeDC feed. The instameet gave photographers the chance to see—and share—the exhibition from a new perspective. After spending an hour exploring the exhibition with behind-the-scenes access, museum staff invited attendees to explore the museum’s collection. Many of the participants had never visited the museum before, but were inspired by NMWA’s diverse collection and the architecture of the Great Hall. 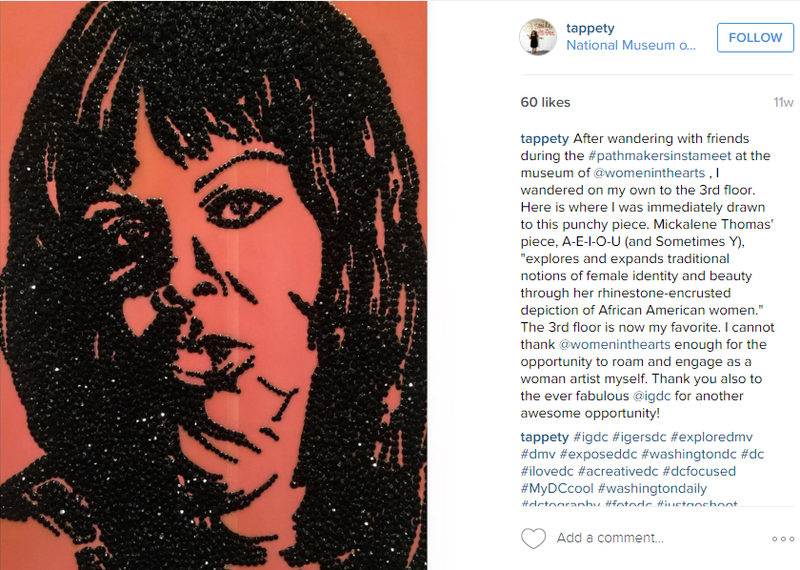 One participant, @tappety, discovered Mickalene Thomas’s rhinestone-encrusted A-E-I-O-U (and Sometimes Y) during her tour of the third-floor galleries. Browse the 100 stunning photos captured from the #PathmakersInstameet on Instagram. Apply here by noon on March 4 to have a chance to explore the museum’s empty collection galleries on International Women’s Day and enjoy a special collection highlights tour.